Close your eyes and turn back the clock. Past wars, treaties, human accomplishments. Now, all traces of mankind are gone. Faster, species flourish and die out, continents move and divide. Now, about 200 millions years ago, we've reached Pangaea. 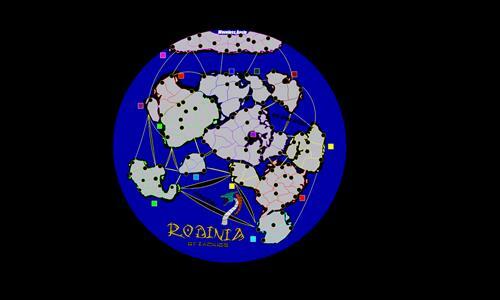 Resume your journey back in time, untill we reach Rodinia, about 1 billion years ago. If you stopped and sped up back to the present, the continents would move to their place as we know them today. BUT, what if they didn't move? What if they stubbornly stayed put in their formation? This is the world of Rodinia. Now, 1 billion years in the future, Rodinia is reaching a crisis point. The fact the all of mankind is assembled on one side of the globe greatly developed civilization, but now, it threatens to destroy it. Populations are soaring, and land is scarcer than ever. The world is on the brink of war- will cooler heads prevail, or will total devastation commence?